Sunday I finished putting the last of the American Civil War figures on wooden bases ready for decoration and later varnishing. I also had to do a quick paint job on five flags (which I am totally unhappy with and will get around to changing later … really). When all that was completed and the varnish was dry on my observation tower (see yesterday’s post here) I thought “exactly how many figures do I have”. I laid them all out. 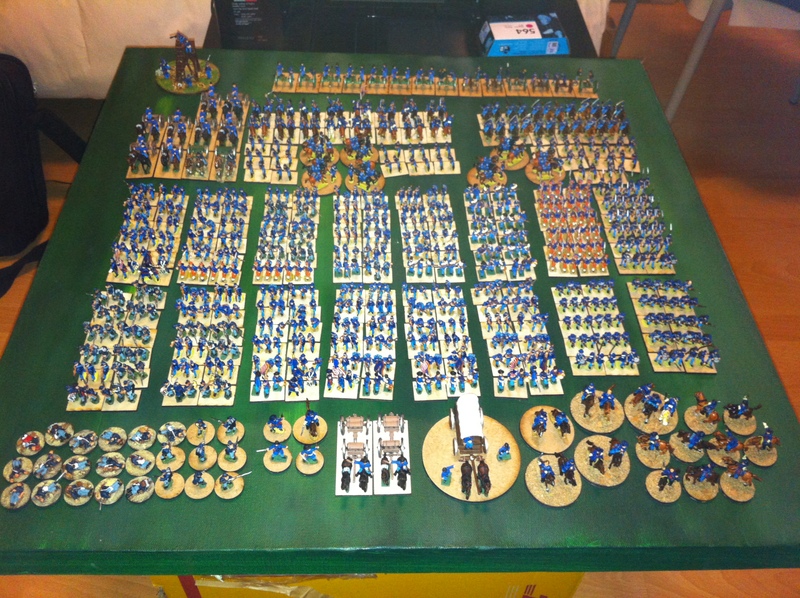 The Union ACW figures laid out including markers. A mix of Minifigs, Essex, Lancashire and Old Glory 15s. Now all I have to do is decorate the bases for all these (and attach some flags to the standard bearers. Next Article Singapore Airlines–you got to be kidding!